Firms across the West of England could face “severe difficulties” in employing enough staff to stay in business if government post-Brexit plans to restrict overseas workers come into effect, according to the CBI. An immigration visa system now under consultation could prevent firms employing workers on salaries of less than £30,000 for more than a year. But according to research published today by the CBI, this salary threshold recommended by the Migration Advisory Committee will lead to severe difficulties for many businesses. In the South West, some 70% of workers earn less than £30,000 a year and the average wage is £22,223 – well below the UK average of £24,006. 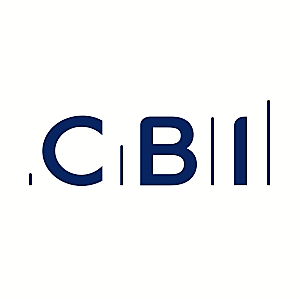 The CBI says the region’s manufacturing sector – where 57% of workers are paid under £30,000 – would be hit hard, while just over a third of workers in its food and drink production businesses are EEA (European Economic Area) nationals. CBI South West regional director Deborah Fraser said: “We know that South West businesses are creating jobs but many are already struggling to fill vacancies and suffering from skills shortages. She said a one-year limit on workers earning less than £30,000 would encourage firms to hire a different person each year, needlessly increasing costs and discouraging migrants from integrating into communities. “Leaving the EU should be an opportunity to develop an independent immigration policy that works for business by being both open to allow our economy to grow and controlled to restore public confidence,” she said. The government’s own Migration Advisory Committee had confirmed there was little or no evidence to show immigration had any impact on jobs or wages for local workers. “Hospitals, housebuilders and retailers are just a few examples of major employers already struggling to find the people they need at salaries well below £30,000,” said Ms Fraser.